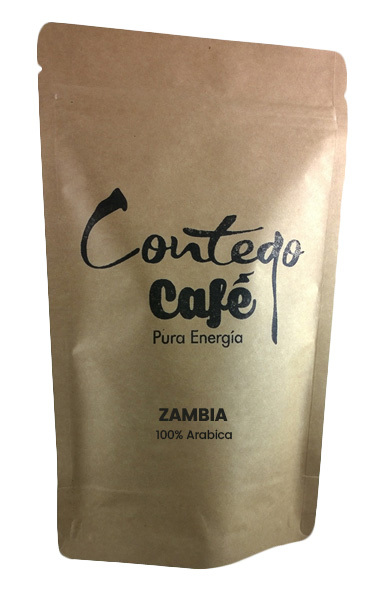 Lovingly grown under warm African skies, on ancient lands fed by clear Zambian waters, this is an exquisite coffee in the highest tradition of African Arabica. With an elegant, bright, citrus-like acidity and excellent, tightly knit body, it yields a cup that is a delight on its own and that mixes harmoniously with other coffees to add the lift that is the hallmark of top-quality blends. This is a rare coffee – grown at 1108m of altitude on 60 hectares of land – of consistently outstanding quality. Achieving this traditional excellence in the cup is the result of constant and painstaking efforts on the part of Africans committed to coffee quality. It can be delivered Beans or Grinded (ibrik, espresso, filter or brew). Munali coffee cherries are harvested by hand, called selective picking, from April to September, during Zambia’s dry season. The cherries must be bright red, glossy and firm. Once picked, the coffee cherries must be processed immediately. The pulping machinery removes the red skin from the two coffee beans inside each cherry. The pulp is collected, composted and reused as an ecological fertilizer. Wet processing removes the red skin and fleshy pulp material through a process called pulping. Then the beans go into the fermentation box where the natural process triggers a series of chemical reactions that enhance the flavor quality of the roasted coffee. The wet beans dry slowly down to 10 – 11% humidity. Workers hand-distribute them on the patio (drying floor). This process takes one to two weeks. The beans must be raked many times to allow them to dry evenly. The sun-dried beans – now called “parchment” are put in bags and taken to the warehouse. The machine then removes the parchment and silver skin from each bean. This renders a green bean suitable for roasting. Grading gourmet-quality coffees by size, shape, density and color is the next step. Every stage of production – selection and bedding in the first seedlings, diligent husbandry, selective harvesting, scrupulous hand washing and sun drying, careful conditioning, hulling and expert grading of the coffee – is carried out with one aim in mind: consistently guaranteeing the wonderful taste that more and more people are discovering. Cupping Notes: Winey, lingering acidity. Notes of sweet tea, citrus, caramel, sweeter and creamier as cools. 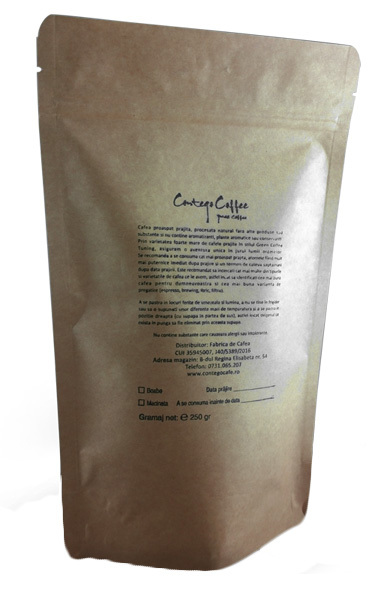 Brewing Tips: A heavy body and wine-like sweetness sets this very rare Zambian coffee apart. Truly one of our favorites. Zambia Munali is best brewed as an single origin espresso and it goes very well in milk recipes- like Cappuccino or Flat White.